Now take wheat flour add turmeric powder and knead it, add oil while kneading the flour and keep it also for 10 mins. 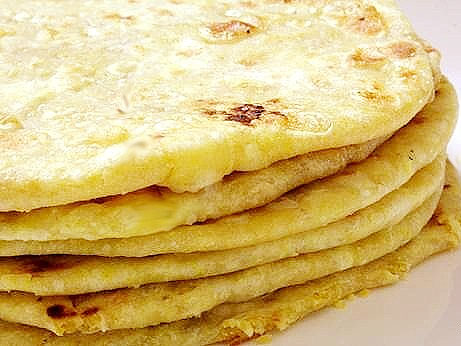 Now equally portion of dough and puran (channa dal & jaggery mixture) approx 15 puran poli's can be done. Now take wheat dough and stuff it with puran ( just like paratha), and roll it lightly. put it on hot non stick pan and fry it well on both the side. hi ur puran polis were very tasty.add ghee instead of oil for frying.they taste more delicious.